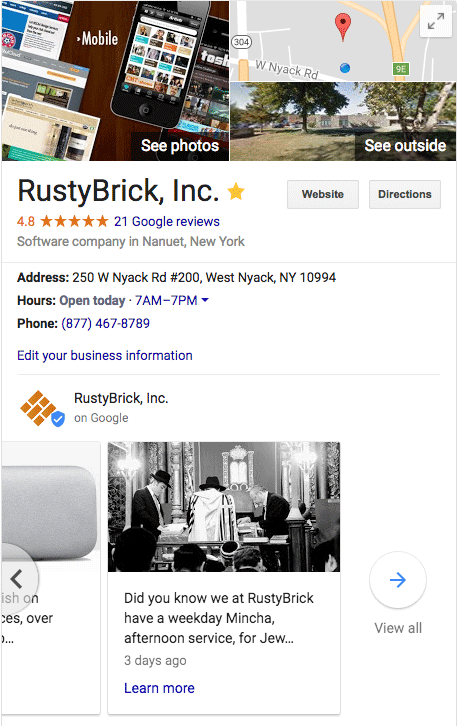 Google is apparently moving the Google Posts in the knowledge panel down a bit, to the bottom area of the local knowledge panel. This was first spotted by Mike Blumenthal and Ben Fisher and posted by Joy Hawkins in the Local Search Forums. I guess Google Posts are not all that important for Google anymore?